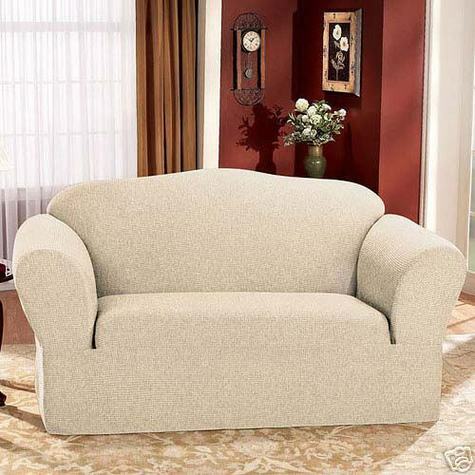 An incomparable chenille fabric with a soft, luxurious crisscross woven pattern. It's versatile, too. Dress it up for a rich, plush appearance or keep it casual for a comfortable, lived-in look. YOU MUST HAVE A CONFIRMED ADDRESS IN PAYPAL FOR ITEMS TO BE SHIPPED. Please read the description and view all photos before bidding. Measure the maximum seat cushion width from the outside front of the furniture. 34 in. Measure the maximum body width from the outside edge of the right arm, around the back of furniture to the outside edge of the left arm. 116 in. Measure the contour length from the back of the seat cushion, going over the top of the furniture back and down to the floor. 64 in. No implied or express warranty is made with respect to the condition and operation of the item sold unless otherwise specified in listing by manufacturer. Colors may appear slightly different on different monitor types and I can't be responsible for improperly tuned color settings. I accept Confirmed Verified PayPal Address. I will not ship to unconfirmed address. I ship as soon as payment has cleared. CUSTOMS AND DUTIES WILL APPLY FOR INTERNATIONAL SHIPMENTS. Please have a confirmed PayPal address and valid email address. I will not ship to PO BOXES, UNLESS it is your confirmed PayPal Address.